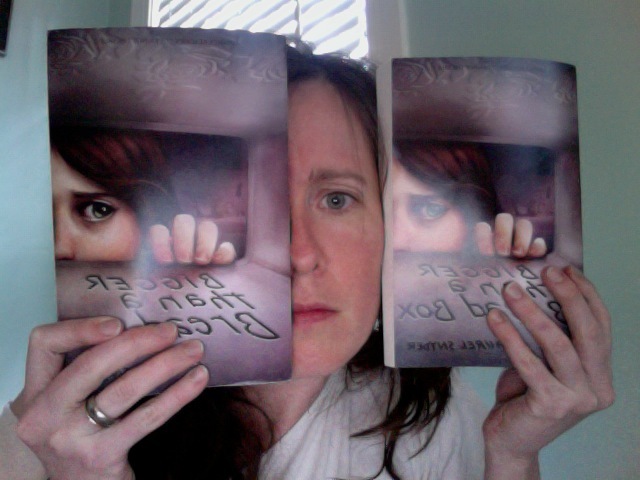 Laurel Snyder » Blog Archive » ARCS!!! I am VERY VERY VERY excited about this one. This entry was posted on Monday, February 21st, 2011 at 3:28 pm	and is filed under Blog. You can follow any responses to this entry through the RSS 2.0 feed. You can leave a response, or trackback from your own site. Also, you totally deserve take-out… probably tacos. Very exciting! Congratualations! That has to be so exciting to open up the package and see the hours and hours of work come together into an almost-finished version of the book. Enjoy! I can’t wait to read it when it comes out. How awesome!! Can’t wait to read it. I have never been disappointed by any of your writing.